The Winter Cash Sales Event includes cash incentives on models in our aluminum, pontoon, deckboat, crossover and runabout product line-ups. Up to $3000 in cash back incentives! The promotion will be in effect from January 1st, 2019 to March 31st, 2019 and will offer varying incentives on model year 2018 and 2019 boat/motor packages. Back by popular demand and due to its success, on select pontoon purchase only, you will have the option to substitute the cash back incentive for a +4 Year Limited Warranty Extension. Combined with our year-round Lifetime +6 Warranty, the warranty option means a total of 10 Years of warranty on qualifying pontoons. You can receive up to $1,500 cash back when you purchase select Sunchaser series between now and March 31st, 2017. Additional 4 years of Warranty is also available on 2016 and 2017 models only. For qualified applicants repowering during July 2016. 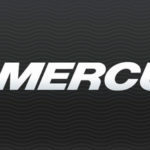 See your local participating Mercury dealer today! Exclusions: All Pacemaker, Mercury Racing, Government, CPO, previously registered engines, donations, as well as engines sold for commercial, camp or resort applications, waterski engines and sales / registrations outside the United States. U.S. customers must purchase from a participating U.S. dealer. Also excludes any non-U.S. resident, or address outside of the United States. Any units with a manufacture date prior to 2012 are not eligible. Eligible on: All new, untitled and unregistered Honda Marine outboard engines (2 – 250 hp). Used units are not eligible. For more information about the 2.49% special financing and how you can qualify, please see your local participating Honda Marine dealer. Packages – all new, untitled and unregistered Honda Marine outboard engine (2 – 250 hp), boat and trailer. The main source of power on a package (boat, engine and trailer) must be a new, untitled and unregistered Honda Marine outboard engine. Eligible boats must be listed in NADA, BUC or ABOS guidebooks or be on the AHM boat manufacturer partner list. Used boats, engines or trailers are not eligible. For more information about the 3.49% special financing and how you can qualify, please see your local participating Honda Marine dealer.